Rawkblog Is 5 :: New Theme Song! After five years of daily blogging as of last week, Rawkblog is ready for kindergarten, which is great because I need a nap. 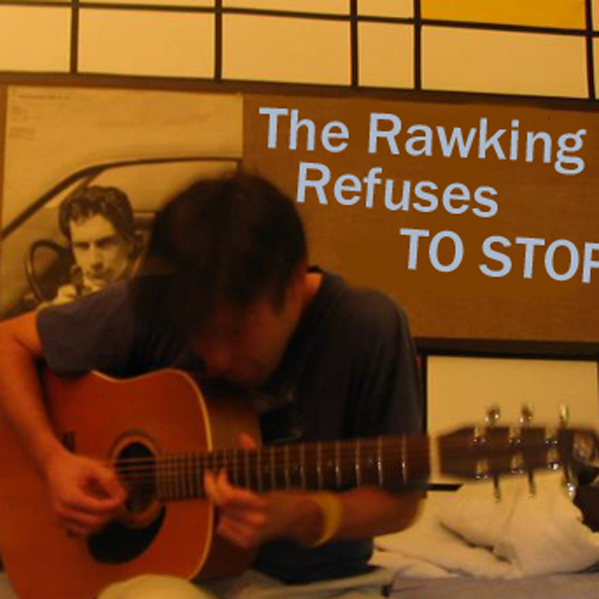 To celebrate our half-decade of existence, we have a brand-new theme song courtesy of Wrapping Paper, who wrote this wonderful track back when we were still The Rawking Refuses To Stop! and had an accompanying photoblog (now a Rawkblog column). Blogosphere, if you’d like to buy me a birthday drink, I’ll be at SXSW wearing a party hat. Ordinarily around this time of year, I’d do a pledge drive, but I’m going to take 2010 off because 1) my ads are actually making money for once 2) You should spend that cheddar on the Pepper Rabbit EPs. Deal? Hugs!